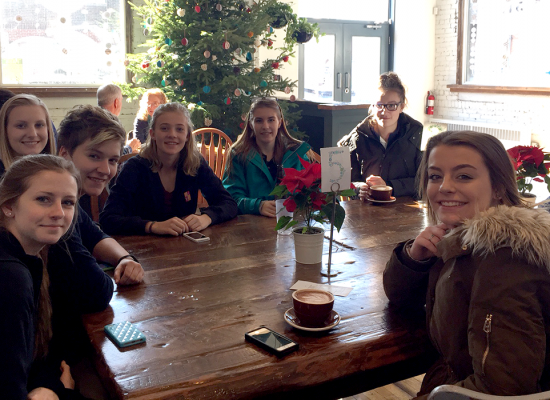 Grade 11 Connections Group at Hamilton District Christian High ventured to 541 Eatery and Exchange to do some Christmas outreach. 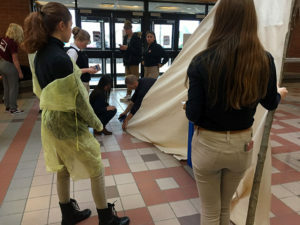 Our students had the opportunity to help organize a Christmas party for a young girl’s group consisting of 18 girls. 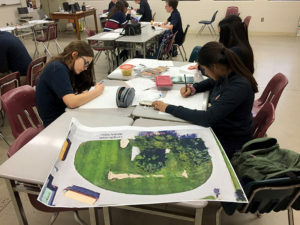 The purpose of the 541 girl’s group is to offer mentorship to an at-risk population in the surrounding neighbourhood in order to provide positive connections and build self-esteem. The Connections group made decorations, hand-made wooden ornaments, and baked goods for the party later that evening. The students then spent some time connecting with each other over a delicious lunch at 541. 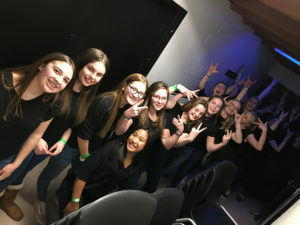 While the HDCH group didn’t get to meet the younger girls that the party was for, it was such a wonderful and unique opportunity for one group of girls to anonymously connect and minister to another.